How did parliament get into this Brexit mess, and how can it get out? Some, controversially including the Prime Minister, have accused parliament of failing on Brexit. Last week’s Article 50 extension hands parliament responsibility for solving the crisis. 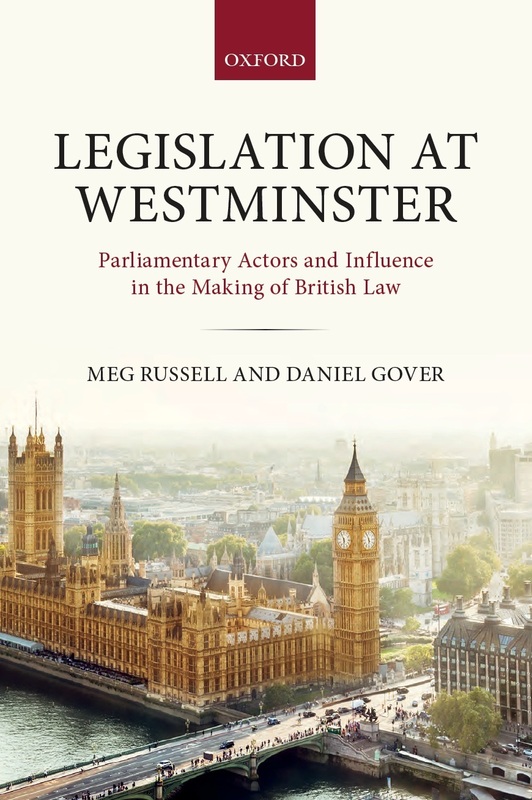 Here, Meg Russell reflects on why parliamentary agreement has thus far been difficult, and what parliament now needs to do. This week’s Brexit events have been fast moving. Following a series of House of Commons votes on 12–14 March, the Prime Minister travelled to Brussels to negotiate an extension to the Article 50 period. Beforehand she made an extraordinary – and widely criticised – statement to the nation, seeking to lay the blame for the UK’s Brexit impasse at parliament’s door. Following many hours of discussion, the EU27 offered a limited extension: to 22 May if parliament approves the existing Withdrawal Agreement, else to 12 April, before which the UK government should ‘indicate a way forward’ for the EU’s further consideration. This gives parliament (and specifically the House of Commons) an urgent task of resolving matters, to avoid the UK ‘crashing out’ without a deal in just under three weeks. To date, parliament has been unable to resolve the Brexit dilemma. This post explores why, before turning to what should happen next. The Select Committee on Exiting the European Union was formed in 2016 following the outcome of the EU referendum. Chaired by former International Development Secretary Hilary Benn, it is in many ways an outlier in the world of Commons committees. Philip Lynch and Richard Whitaker discuss what makes it so unusual and analyse how it has operated since its inception. The Select Committee on Exiting the European Union (the DExEU committee, or Brexit committee) is one of the most divided since the creation of departmental select committees. Select Committees usually operate on a consensual basis, and unanimous reports are regarded as carrying more weight. Most reports are agreed without divisions. 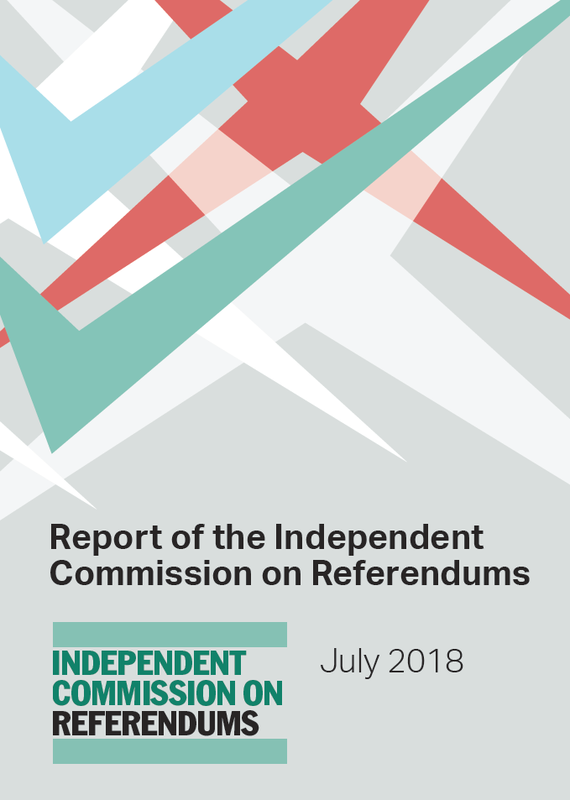 But the DExEU committee has seen divisions – formal votes on reports or amendments – on each of its reports, and eurosceptic members produced an alternative draft report in March 2018. Of the committee’s 21 members, 14 campaigned for Remain in the 2016 EU referendum: six Labour, four Conservative, two SNP, one Liberal Democrat and one Plaid Cymru (see Table 1 below). Seven voted Leave: six Conservatives and one DUP. Brexit at Westminster: can parliament play a meaningful role? 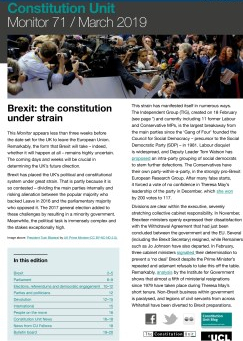 On March 13 the Constitution Unit hosted a seminar on Brexit at Westminster, exploring the role parliament has played in the lead up to the triggering of Article 50 and that it might play in the forthcoming negotiations. 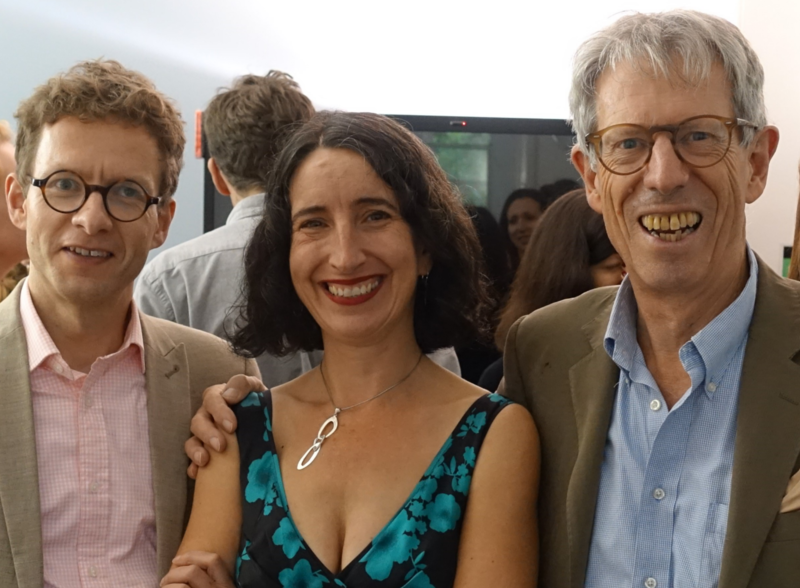 The panel consisted of Hilary Benn, Chair of the House of Commons Exiting the EU Committee; Arnold Ridout, Counsel for European Legislation at the House of Commons; and Baroness (Kishwer) Falkner, Liberal Democrat peer and Chair of the Financial Affairs Sub-Committee of the House of Lords EU Committee. Ascher Nathan reports. 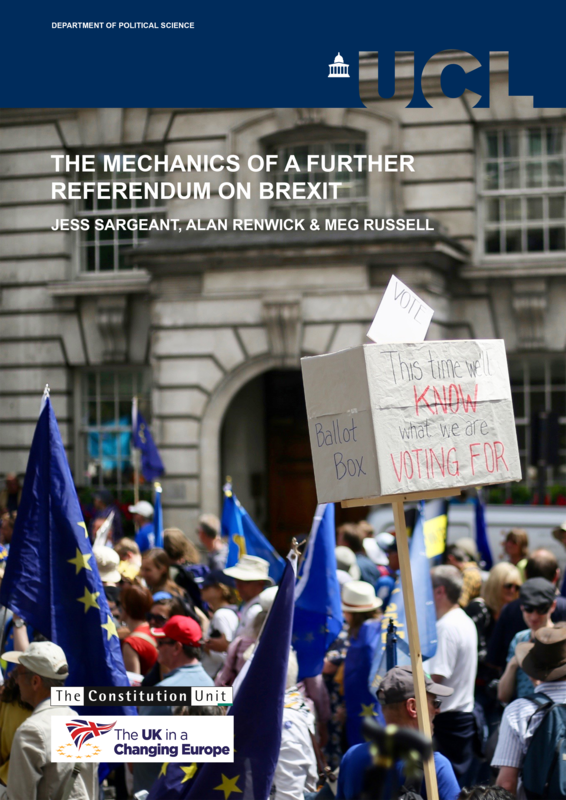 Introducing this seminar on Brexit at Westminster, Constitution Unit Director Meg Russell remarked on the perfect timing: the Article 50 Bill would have its final votes that evening. Despite earlier concerns that parliament would be shut out from any influence over Brexit it has played a central role in the lead up to the triggering of Article 50 through debates, questions, the work of select committees and, following the judgement in the Miller case, the passage of the Article 50 Bill. The next big piece of legislation will be the ‘Great Repeal Bill’. Thus, the answer to the question of whether parliament can play a meaningful role in Brexit should be considered as a resounding ‘yes’ – it has already begun to do so. And yet if the Miller case and subsequent events have been a reminder about the role parliament can play, questions still remain about exactly how it will influence debates going forward. The three speakers each brought a different perspective. Hilary Benn, Labour MP for Leeds Central, has served as a cabinet and shadow cabinet minister and is now Chair of the House of Commons Exiting the EU Committee. Arnold Ridout is Counsel for European Legislation at the House of Commons, and legal adviser on EU matters to the Commons select committees. Baroness (Kishwer) Falkner, a Liberal Democrat peer, sits on the Lords EU Committee and chairs its Financial Affairs Sub-Committee. Hilary Benn explained that the Exiting the EU Committee was a mixed group of Leavers and Remainers and thus his role as chair was to establish consensus and direct their work in a constructive manner. In what he described as the most complex trade negotiations since the end of World War II, with the Great Repeal Bill to be an ‘enormously daunting task for any government,’ Benn pledged that parliament would ‘not be a bystander’ and intended instead to be a key participant in the policy process. Fundamentally, he challenged the government claim that persistent parliamentary involvement in the negotiations would undermine ministers’ position and lead to bad deals, noting Nick Clegg’s comment that the government’s position implied that only dictatorships were in a position to make treaties. For Benn, the complexity of Brexit was a great challenge. He talked at length of numerous examples of areas where exiting the EU would prove difficult: passporting for financial services; regulation of medicines (where pharmaceutical companies will seek approval in the largest markets first) resulting in UK patients accessing them later; the regulation of data handling between states. Whilst this is a huge challenge for government, it is equally difficult for the Brexit select committee to address in the limited time available, as well as challenging for the EU. Benn agreed with the government’s position in favouring parallel negotiations for the divorce settlement and the new framework because the eighteen-month window given by Michel Barnier, chief EU negotiator, is so tight. Benn thinks it will be ‘impossible’ to agree a comprehensive trade negotiation in the time available and so called for a transitional agreement to be drafted.